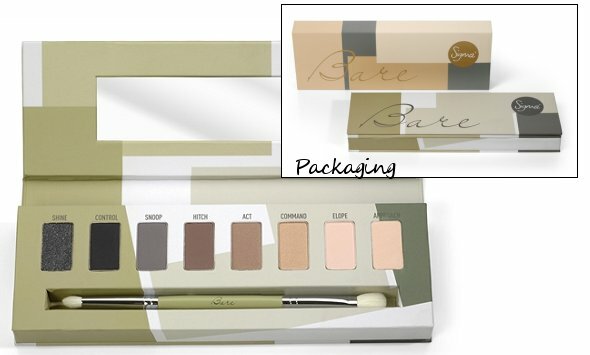 Sigma Beauty - Flare, Bare, Dare Eyeshadow Palettes | Memorable Days : Beauty Blog - Korean Beauty, European, American Product Reviews. Sigma Beauty has launched a new line including eyeshadow palettes! 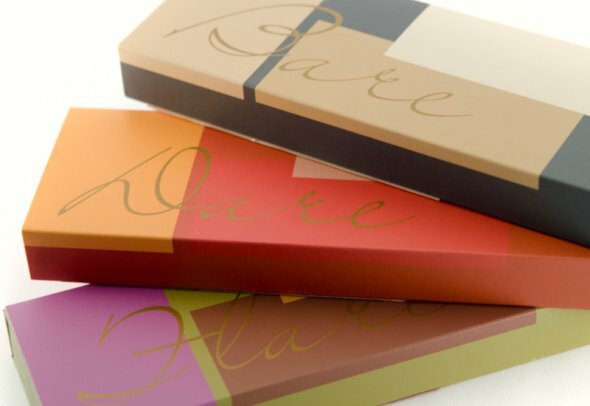 The eyeshadow palettes are called FLARE, DARE and BARE. I'm very curious how pigmented these palettes are ^___^. The packaging sure makes me think of the great palettes from Urban Decay haha. Which one is your favorite? The FLARE palette contains a combination of greens and purples combined with browns and beiges. It contains matte & satin formulations. This palette includes the E55 (Eye shading) and E40 (Tapered Blending) in a duel-ended brush. 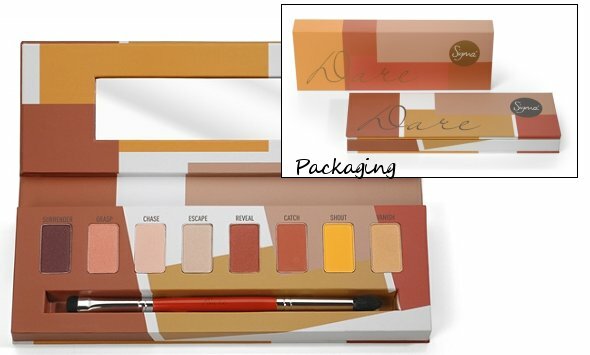 The DARE palette has a mix of vibrant and neutral shades with warm and cool tones. It has colors from deep red to yellow and gold tones. This is definitely a great palette to get a bright summer look :). It includes the E20 (Short Shader) and E45 (Small Tapered Blending) duel-ended brush. The last palette is called the BARE palette. This palette is great for neutral looks. Also smokey eyes are easy to create with this palette. It includes the E30 (pencil) and E25 (blending) dual-ended brush. The colors of the Flare palette is my favorite out of the three. Are you curious about these palettes as well ^^?! 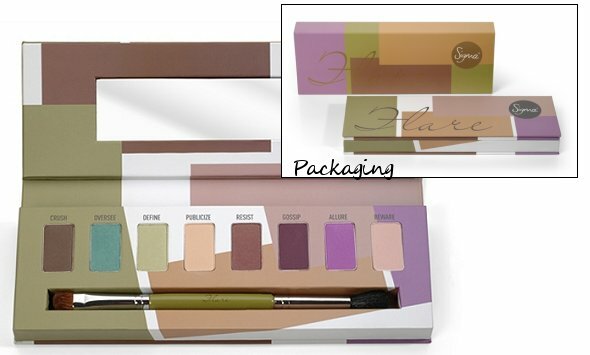 They are $35 each and are sold on their website: www.sigmabeauty.com. You will get a free gift when you purchase one and don't forget that you have 10% OFF with the promo code ALL2011. Wat een mooie paletten :) Helaas zijn ze wel buiten mn budget. Ook een leuk filmpje, mooie makeup! @robin, hahah mee eens ! :P vind het ook niet zo duur, en ik denk wel dat de kwaliteit goed is :). wow these are wonderful!! i really love all the pallets!! @GurLee, she stopped with her blog. She did wrote a blogpost about it before she stopped, you've probably missed it :o. She deleted her whole blog now..